Updated 2/7/14: Also, Davita has a Travel Checklist that might help you if/when you are doing your travel planning. In my experience, I’ve travelled to Washington D.C. a few times and it was not very difficult mostly because I was traveling for DPC (Dialysis Patient Citizsens) and they made the local arrangements for dialysis and got me back and forth because we went as a group. However, if I was traveling alone, it’s easy to find a center using Google. Once you do, you contact the administrator and make arrangements with them. 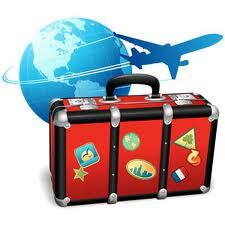 There are also travel agencies that specialize is dialysis travel. For example, there’s “Global Dialysis” if you fancy a trip to Miami, Egypt, or Barbados and about a 1000 more locations. It’s comforting to know there’s a travel agency that understands the needs of dialysis patients. Then there’s Dialysis at Sea if you’d like the idea of a sea cruise and dialysis. At our center, we have a couple patients that come each summer to visit relatives in the area. They have been doing it long enough that the staff recognizes them. So if you would like to visit some friends or relatives, contact a center near them and start making your plans. I know the idea of travelling and getting your treatments may seem daunting but once you’ve done it, it’s not as difficult as it seems. Basically, it’s find a location, find a center near to where you’re staying and begin making plans. The difference is that you have so many more details to attend to and you have to plan a couple months in advance to make sure you have a center and complete the necessary paperwork. Your social worker can help with that. You don’t want to leave anything to the last minute because that may mean you can’t travel. Now, a word of warning about the social worker. At the Center from Hell, the social worker was worthless. Several times I heard from patients who asked her to help find a place or to assist in making plans to visit another center only to fins she did absolutely nothing. With the problem of scheduling, this was a real problem. If your social worker doesn’t do it, you have to contact the dialysis unit administrator of the center you plan to visit and coordinate all those details yourself. On the other hand, the conscientious social worker at my center does everything and drops by my chair to let me know what’s going on. In some canters, they make require a recent vaccination of one sort or another. She finds that out, gets the nurse to order it and it’s done. I don’t have to do a thing! This entry was posted in customer service, dialysis, Dialysis Center, Social Work, travel and tagged dialysis, ESRD, hemodialysis, kidney, patient, travel, treatment. Bookmark the permalink. I have found travel very easy as a Fresenius patient. But most centers insist you go through the company travel office — 1-866-434-2597 — about two months in advance. (I have waited until one month and had no trouble.) Our favorite destination is the Oregon Coast, especially Seaside, so I get my blood strain at a great center in Astoria. The big challenge comes when I travel to an area with no Fresenius centers. I’ve been on dialysis just over a year. My first trip was 3 1/2 months into treatment (in-center). I’ve been to Las Vegas 2 times and am heading back for Christmas. I’ve also been to Disney World and Champaign, Illinois. My center and social workers have made arrangements. I just show up at the centers and they’re waiting for me. Each trip has been non-eventful, in relation to dialysis. For Disney World, we had to travel into Orlando, but we rented a car for the day. There was a closer center but everything revolved around which center would accept my insurance. Some Davita clinics accept it others don’t. I have no idea why. Yes I have had to get some vaccinations and TB tests. No big deal. All I have to do is to make sure I take all my meds! Looking forward to my next trip.